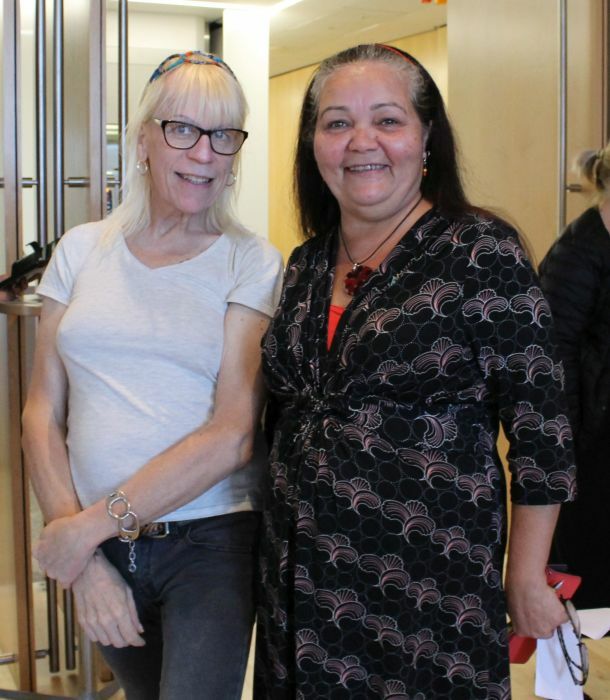 SURRY HILLS: On July 4 Surry Hills Neighbourhood Centre and Surry Hills Community Drug Action Team (CDAT) hosted a NAIDOC afternoon celebration at the Neighbourhood Centre above Surry Hills Library. This year’s NAIDOC theme “Because of her, we can!” inspired the event and the celebration of Aboriginal and Torres Strait Islander women and their vital, although often unrecognised, contributions and service at the community, local, state and national levels. “As leaders, trailblazers, politicians, activists and social change advocates, Aboriginal and Torres Strait Islander women fought and continue to fight for justice, equal rights, our rights to country, for law and justice, access to education, employment and to maintain and celebrate our culture, language, music and art” (NAIDOC website). Central to the afternoon celebration was the showing of the movie Yajillara by Melanie Hogan. Yajilarra is a powerful, inspiring documentary about the courage and resilience of Aboriginal women from the Fitzroy Valley in the remote Kimberley region of outback Australia. In 2007 a group of courageous women from the Marninwarntikura Women’s Resource Centre led a transforming pioneering campaign to ban full-strength “takeaway” alcohol in their community. The alarming statistics in their town – 13 suicides in 13 months, commonplace reports of family violence and child abuse, high levels of dangerous alcohol consumption – gave them resolve to unite and insist on change. Braving the opposition and standing their ground, these women saw the ban officially introduced, bringing not only reduced levels of alcohol abuse and domestic violence, but also giving back hope to the community, for the health and wellbeing of their children and future generations. The topic of the film resonated strongly with the event participants, many of whom take an active part in the work of the local CDAT, aimed at introducing harm reduction measures around alcohol and drug use and improving the health of the community.